In general, the scorpions are not very cherished creatures. The fear they cause is enough to be exterminated without the possibility of thinking of another solution that allows them to survive. Scorpions are undervalued beings. Science has repeatedly shown that arachnids, in general, are more important than we think. Beyond an aspect that we consider unpleasant to be outside our ideal of beauty, these beings possess interesting and valuable features for science. With its venom many cures for chronic and deadly diseases have been discovered in humans, among them, some advances to fight one condition that kills about 8 million people in the world each year: cancer. The blue scorpion (Rhopalurus junceus) is more than just a poisonous being endemic to the island of Cuba. It is the protagonist of research currently being carried out to find a cure for breast cancer, a disease that has ended the lives of millions of women in the world. 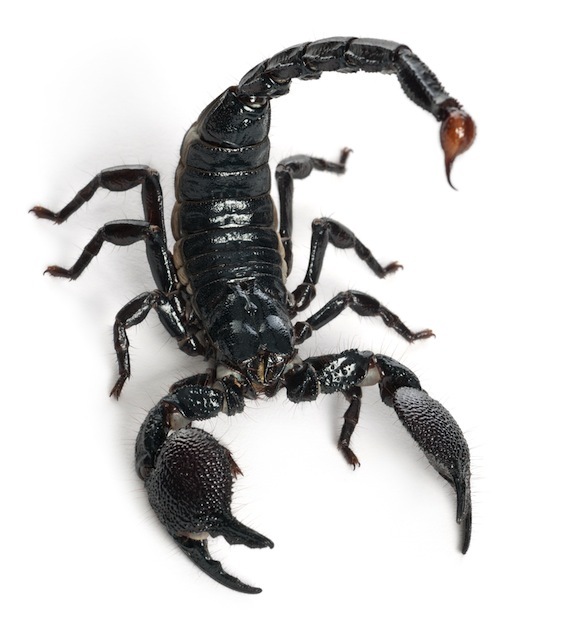 The Mexican Demetrio Rodríguez Fajardo, with just 17 years old, discovered a protein in the venom of this scorpion to treat and cure breast cancer. This finding has earned him numerous recognitions but has also generated numerous controversies, as others affirm that scorpion venom is part of the Cuban homeopathic medicine since long ago. The Cuban drugmaker Labiofam is the creator of the painkiller and anti-inflammatory drug known as Vidatox. This medicine is created from the blue scorpion toxin to improve the health of patients with cancer, helping already more than 65,000 people. The creators claim that it took them 15 years to get the medicine. Perhaps the difference is that the first Mexican discovery focuses on curing breast cancer, while Cuban medicine specializes in improving the quality of life of patients with various types of cancer by up to 85%. Whether controversial or not, just think that this is a clear benefit to the human health that comes from these arachnids. In Madison, Wisconsin, new ways have been developed to obtain drugs that treat diseases such as heart failure, where the main component is scorpion venom. They started with the analysis of 15 species of these arachnids, finding that the emperor scorpion was one of those that behaved favorably in the experiments. What to do in case of a scorpion sting? The warmer months are the most suitable for the reproduction of the scorpions, and in many cities of the world, this can represent a problem, since they appear almost everywhere putting at risk human health. If you are stung the first thing to do is call or go to emergencies. There are so many types of scorpions that it can be difficult to identify which one is the responsible and this does not allow us to know its degree of toxicity. Ignoring a sting or treating it carelessly or with home remedies can be the difference between life and death. There are mild symptoms such as itching and tingling. There are general ones such as tearing, headache, muscle pain and diarrhea; But when the venom is potent, seizures, difficulty to breath, painful erections in men and partial loss of vision, can manifest among other symptoms. Some of the symptoms appear quickly, while others take a few minutes to develop, which is why the victim should get medical care as soon as possible. Among all the species of scorpions, nearly 2,000, only about 30 or 40 of them have a poison potent enough to kill a human being, so we can say that only a small percentage is dangerous. Identifying the deadly and poisonous from the harmless seems a work that only experts could do properly, but there are key details that can help us to know the type of scorpion we encounter, especially if we refer to any of the species of the family Buthidae. Neither the body size nor the color of a scorpion is evidence of its dangerousness, although certain aspects of both characteristics can help us to differentiate the bad ones from those that should not cause alarm. The tail of the toxic species is slim and elongated in most of its segments, while that of the non-toxic species is bulkier. The sting of the deadly species is also thinner than that of the mild ones. The two “fingers” that form the claw (pincers) are more elongated in dangerous species than in those that are not. But the bulging element that is before the claws, or what for us would be like the hand (pedipalps), is very short and thick in poisonous scorpions and long in non-toxic. Compare some of these differences in our photo gallery, and you will see that you can identify some of them.